Never have I ever finished 3 pair of socks in one month before, until now! I must have some hot sock mojo going on this summer. Needles: Size 2 Addi Lace Circular. Comments: I love this pattern. I love the yarn. I love the socks. Close Up of the stitch pattern. 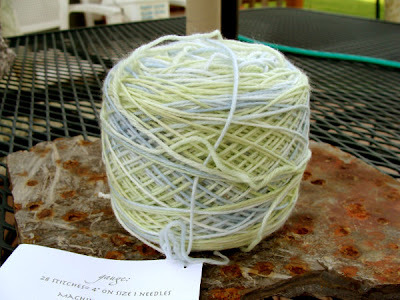 Here is the next sock yarn from my stash that I'm going to use. It's Cheeky Monkey Fibers Sock Yarn in the Water Nymph colorway, which is a pastel lime green, violet, and white in a 75% superwash merino wool/25% nylon blend. 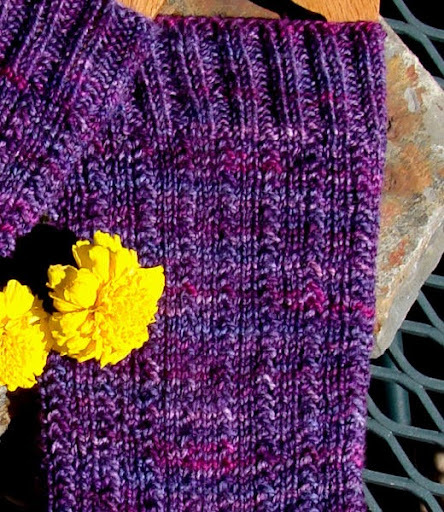 It is one of the softest sock yarns I've felt in a long time. I bought it some time last summer. 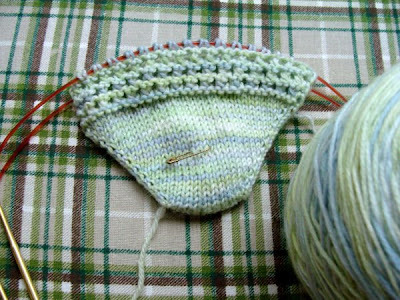 In keeping with the hot sock mojo, I have already cast on and started the next pair of socks. 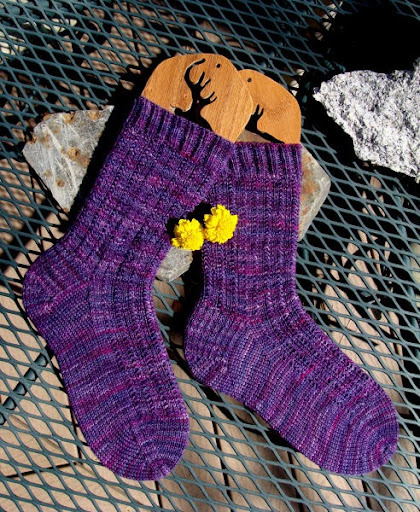 This will be my first pair of toe up socks. So far so good. I tried the Turkish cast on, and it went well. Whoa, that's quite an accomplishment. Great socks in a lovely color.